The information provided below is meant to help you understand the role of your liver cancer biology treatment decisions, as well as the role of other tools used in determining your ability to receive chemotherapy or targeted therapy (precision medicine). In 2016, an estimated 39,230 new cases of liver cancer will be diagnosed in the United States (CA Cancer J Clin 2016; 66(1):7-30). Worldwide, 780,000 cases are diagnosed yearly with 83% of cases occurring in under-developed countries. 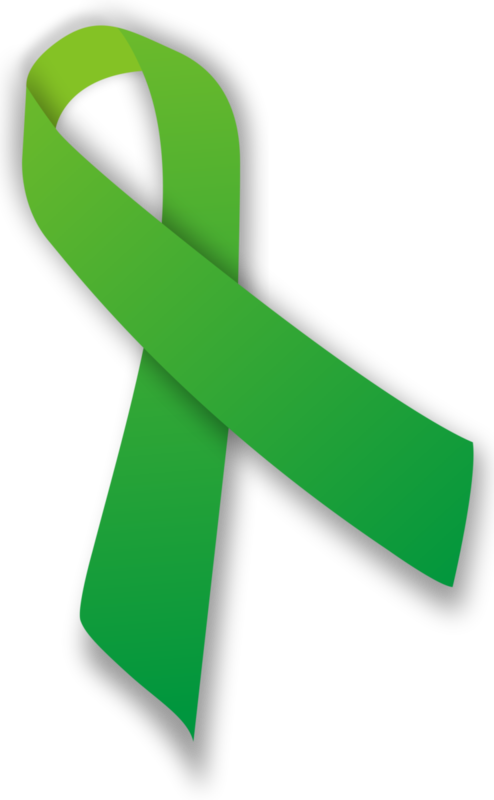 Liver cancer is also the third most common cause of death among patients with cancer. (Gastroenterology 2007;132:2557). Unlike most cancers however, cases of liver cancer continue to rise tripled over the last decades. Three factors found to be associated with liver cancer include: high BMI, greater waist circumference and type 2 diabetes (Cancer Res 2016). Survival depends on whether the cancer is localized (in the liver only), regional (cancer spread to nearby organs or lymph nodes), or distant (cancer spread to distant organs). The five-year relative survival rate for people with localized liver cancer is 30.5%, regional liver cancer is 10.7%, and distant liver cancer is 3.1%. If the tumor can be surgically removed, patients without cirrhosis (chronic liver damage) face a five-year survival rate greater than 50%. For liver transplant candidates, the five-year survival is 60% to 70%. Major risk factors for liver cancer include viral infections caused by hepatitis B (causes direct damage to cells) and hepatitis C (causes indirect damage via cirrhosis), excessive alcohol consumption, and non-alcoholic fatty liver disease associated with obesity. Liver cancer is generally detected using blood tests, such as serum alpha-fetoprotein (AFP) in conjunction with a liver ultrasound. Since AFP can be normal in 46% of the patients with liver cancer (Am J Gastroentero 2006;101:524), it is important to have additional diagnostic tests (CT scan or MRI) to arrive at a diagnosis. Additional tests should be done to assess liver function, as these are important in determining treatment options. These include blood tests such as bilirubin, aspartate aminotransferase (AST), alanine transaminase (ALT), prothrombin time (PT), albumin, and platelet count. Liver cancer treatment often involves a combination of interventions including surgery (if operable), ablation, radiation (if indicated) and chemotherapy and/or targeted therapy (precision medicine). Treatment will depend on the stage of your cancer, your age and quality of health. The goal of surgery is to completely remove the tumor. This is done with either partial hepatectomy (removal of part of the liver that includes the tumor) or with a liver transplant. The type of surgery will depend on the extent of your tumor, your age and general state of health. Your liver surgeon will let you know which of these options is best for you to achieve the best outcome. Fewer than 25% of liver cancer can be resected (surgically removed) due to underlying cirrhosis of the liver. In these cases, liver transplantation is the ultimate local therapy chosen. Ablation is used in patients to remove a few small tumors when surgery is not an option. This procedure is performed by an interventional radiologist in patients waiting for liver transplant. This procedure is used for tumors smaller than 3 cm. There are three types of ablation including radio frequency ablation (high energy radio waves), ethanol (alcohol) ablation, and microwave thermotherapy (using heat to destroy tumor) or cryosurgery to freeze tumor. Ablation can shrink 80% of liver lesions that are less than 3 cm. Your physician will let you know which type of ablation is most appropriate for you. Liver cancer receives most of the blood supply from the hepatic artery, while the surrounding normal liver receives most of its blood supply from the portal vein. Embolization is used for tumors that are too large for ablation, usually >5cm. There are three types of embolization procedures: arterial embolization, chemoembolization, radioembolization. Embolization is a procedure that injects substances (TAE) with gelatin sponge particles, polyvinyl alcohol particles or polyacrylamide microspheres to block arterial blood flow to cancer cells in the liver. Chemoembolization (TACE) is used to deliver high dose of chemotherapy (doxorubicin and mitomycin C) directly to tumor cells to minimize the side effects of intravenous chemotherapy. This procedure is recommended for patients who are not candidates for surgery or ablation. Your physician will let you know which type of ablation is best for you. DEB-TACE using doxorubicin eluting embolic beads has showed a higher rate of response and lower risk of recurrence compate to TACE especially in Child Pugh Class B patients. TARE is a new embolization method that deliver high dose radiation to the tumor capillary bed via yttrium-90 tagged glass or resin microspheres, this has resulted in less toxicity and longer survival compared to TACE (Gastroenterology 2011;140:497). The FDA recently approved the radiopaque bead treatment (the M1 LUMI beads -BTG plc) allows for realtime tracking during embolization to be more precisely target tumors and cause less damage to the surrounding liver. The beads are spheres that are charged outside with chemotherapy drug doxorubicin. This drug eluting platform reduces fatigue and pain after treatment. With these new platforms, the survival for untreatable liver cancer has increased from 16 to 45 months in some cases. Radiation therapy, or radiotherapy are used in the treatment of liver cancer, either in combination with embolization or by itself. Stereotactic body radiation therapy (SBRT) is an alternative for ablation and can be used after ablation if needed. This type of radiation therapy focuses high dose radiation from outside the body on the cancer. The radiation oncologist will determine whether you will need to receive radiation for your cancer, as this also depends on your age and overall health status. This website is designed to address the medical oncology portion of your treatment and offer you personalized information about your treatment options that will yield in best survival and quality of life. The treatment with chemotherapy and /or targeted therapy (precision medicines) depends on multiple factors, one of which is the stage of your cancer. Chemotherapy given intravenously (through your vein) is not very effective in most patients with liver cancer. The only chemotherapies that have the ability to shrink the doxorubicin, 5-fluorouracil, and cisplatin. Due to the blood flow to the liver cancer is mainly from the hepatic artery, chemotherapy given via the hepatic artery to the tumor a procedure known as hepatic artery infusion (HAI) can shrink up to 50% of tumor between 3-5 cm in size with drugs such as floxuridine (FUDR), cisplatin, mitomycin C, and doxorubicin. If the liver has advanced to other areas of the body ( metastatic cancer) then targeted therapy with sorafenib (Nexavar) is used. This drug blocks the formation of new blood vessels to the tumor, which are necessary for tumor growth. This drug is useful, especially in liver cancer caused by hepatitis C.